Milner Centre for Evolution scientists discover rising levels of CO2 due to climate change could result in the resurgence of dangerous mosquito-borne diseases. The largest ever study of the mosquito evolutionary tree, going back 195 million years, suggests that present-day climate change could result in the spread and return of dangerous mosquito-borne diseases to new places or areas where they had previously been eradicated, scientists are warning. These diseases – including malaria, Yellow fever, Zika virus, and Dengue fever – cause millions of deaths each year. While many of these diseases have been eradicated from Europe and are under control in other parts of the world, resurgence is always possible. New research from the Milner Centre for Evolution at the University of Bath, University of York and China Agricultural University, shows that the rate at which new species of mosquitoes evolve generally increases when levels of atmospheric carbon dioxide are higher. This is concerning because the greater the number of mosquito species, the more potential exists for new ways of vectoring diseases, and perhaps for new variants of those diseases. However the research showed that whilst there is a link between rising CO2 levels and mosquito diversification, the association is more complicated than previously thought, with other factors – such as the diversity of mammalian hosts – contributing to an increase in the species richness of mosquitoes. Professor Matthew Wills, from the University of Bath’s Milner Centre for Evolution, said: “It’s only the female mosquitoes that take a blood meal, and they use the CO2 that mammals and other vertebrates exhale as a very general cue to locate their hosts. One line of thinking is that as ambient levels of atmospheric CO2 rose, as they have done in recent decades, mosquitoes may have found it increasingly difficult to distinguish between the CO2 from their hosts and those background levels. Dr Katie Davis, from the University of York’s Department of Biology, said: “We found that the increase in the diversity of mammals led directly to a rise in the number of mosquito species, and also that there is a relationship between CO2 levels and the number of mammal species, but there are still missing pieces of this puzzle, so we can still only speculate at this stage. “It is important to look at the evolution of the mosquito against climate change because mosquitoes are responsive to CO2 levels. 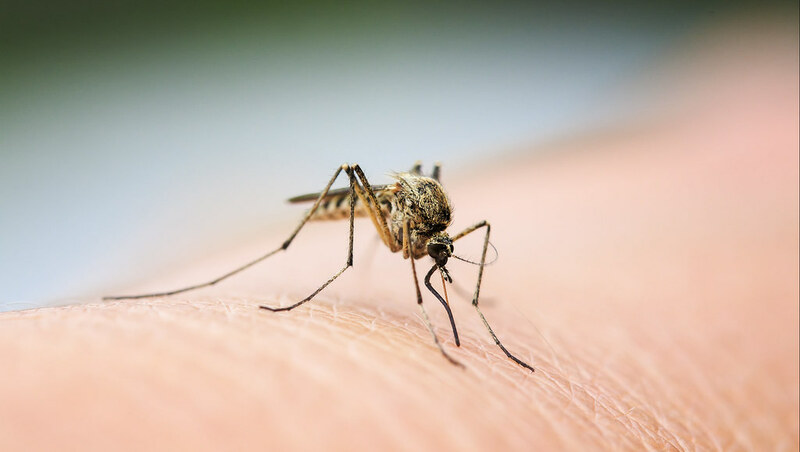 Atmospheric CO2 levels are currently rising due to changes in the environment that are connected to human activity, so what does this mean for the mosquito and human health? The study, Tang et al (2018) “Elevated atmospheric CO2 promoted speciation in mosquitoes (Diptera, Culicidae)” is published in Communications Biology, DOI: 10.1038/s42003-018-0191-7.